Hey fellow 'fetti Fans! 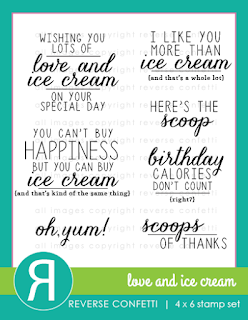 Today is Day # 3 of the RC Birthday Countdown to Confetti and I'm featuring the fabulous NEW Love & Ice Cream Stamp set, the coordinating NEW Love & Ice Cream Confetti Cuts and the NEW Let's Celebrate Quick Card Panels. For my first card, I took my colour inspiration from the gorgeous colours in the NEW Let's Celebrate Quick Card Panels! I cut the Quick Card Panel with the Documented Confetti Cuts and found some Julep Dotted Swiss Bazzill card stock in my stash, that I then cut with the "scoop of ice" die from the NEW Love & Ice Cream Confetti Cuts. 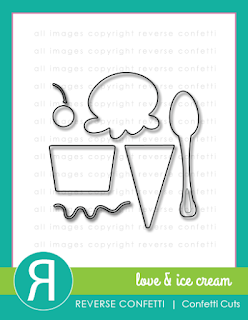 I cut out three "scoops of ice cream" and adhered them together for a little extra dimension and cut the ice cream cup from Kraft Heavyweight card stock. The spoon is cut from Orange Fizz Heavyweight card stock and I added a "dollop of ice cream" on the spoon, cut from the Julep Swiss Dotted Card Stock, with a leaf die from the Fresh 'N Fruity Confetti Cuts. 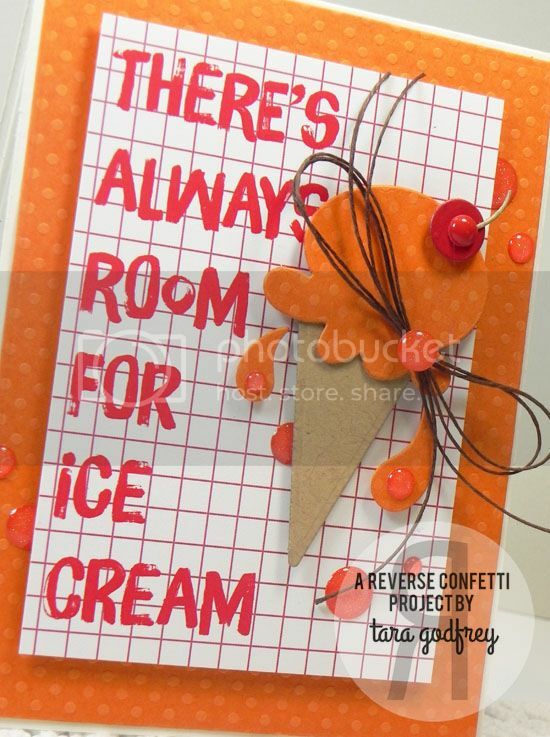 I added some orange sprinkles to my scoop of ice cream with the sprinkles die from the Donut You Know Confetti Cuts and stamped a sentiment from the NEW Love & Ice Cream Stamp set on the Grout Grey Heavyweight Card Stock panel in Hot Fudge Premium Dye Ink. I embellished with some sparkly blue Gumdrops and some brown AC Hemp cord tied around the spoon. Here's my second card...this is quite CAS for me ( not my go to style) but I'm really happy with how it turned out and that it came together so quickly too! I used one of the NEW Let's Celebrate Quick Card Panels...LOVE that this Let's Celebrate QCP already has the sentiment printed right on it. 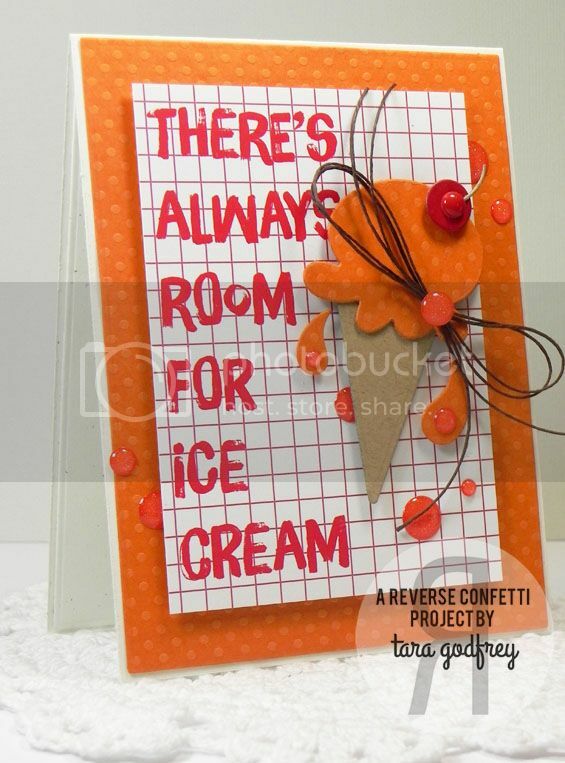 I popped it up on the Festive Swiss Dotted Card Stock panel and built a yummy "sherbet" cone with the NEW Love & Ice Cream Confetti Cuts and popped it up on the card front. I used the Perfectly Paisley Confetti Cuts to add a few drips of ice cream and I added a cherry on top with the dies from the NEW Love & Ice Cream Confetti Cuts. Finally I embellished with some Brown AC Hemp cord and a few sparkly orange Gumdrops. 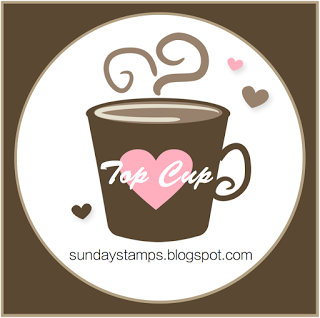 Thanks SO much for stopping by and havin' a wee peek at my cards with the delish NEW Love & Ice Cream Stamp set, coordinating Love & Ice Cream Confetti Cuts and the NEW Let's Celebrate Quick Card Panels. 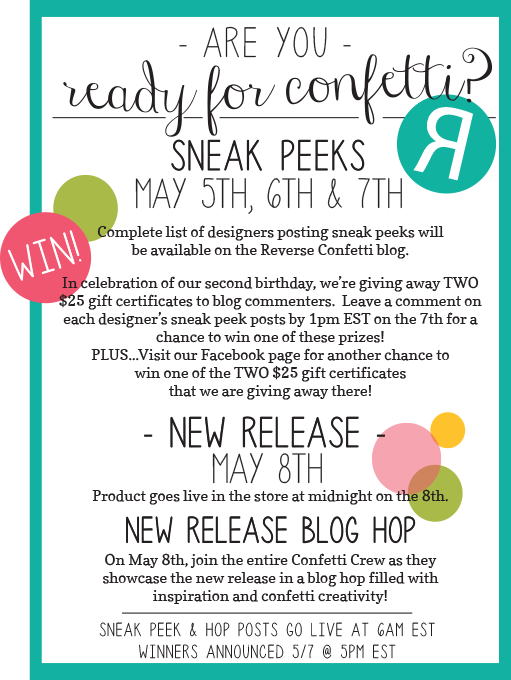 Head on over to the Reverse Confetti Blog and a list of all the Confetti Crew sharing previews with the new release. 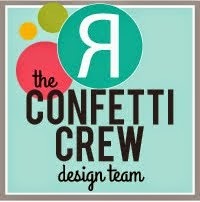 Don't forget to leave those comments on the Confetti Crew's blogs for a chance to win! oh, my!!! these are awesome Tara. brilliant using the paisley dies for ice cream drips AND the doughnut sprinkles....great accents! 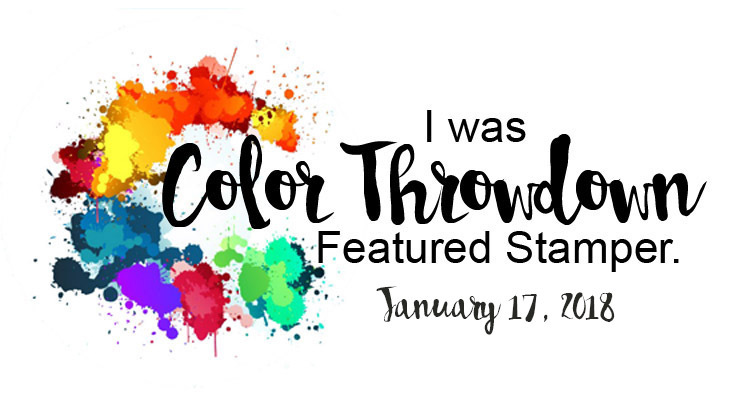 love your colors, too. Wow! What a great card! Like how you arranged them. Thanks. 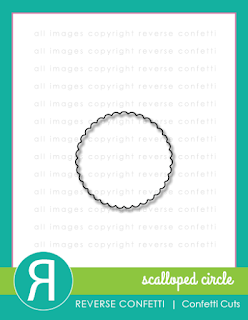 Your layers and all the little extras are just perfect! 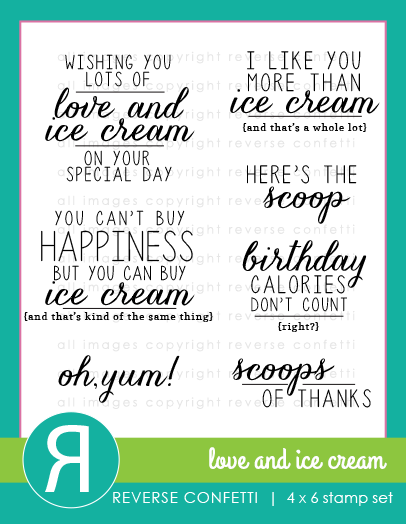 Adorable cards with the ice cream dies! Layering is perfect and colors are great. You even have a stem on the cherry! Details! Wow.... such beautiful color and detail!!! LOVE! Tara, they are fabulous, I love the gumdrops! I like how you cut out extra layers of ice cream to make it stand out more. The leaf ice cream on the spoon was a great idea. The drips coming off the bright orange sherbet are so cute. Both cards look good enough to eat! Wonderful cards! Love how the dot embellishments look like ice cream drips! Nice! Different colors and so well done! Inspiration galore!!! Gorgeous cards! Love the chocolate swirl! WOW, both cards are just brilliant! Love the ice cream theme. 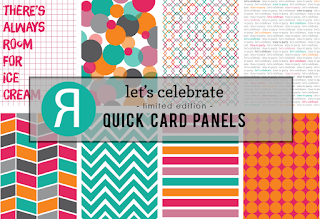 Such fun and colorful cards! 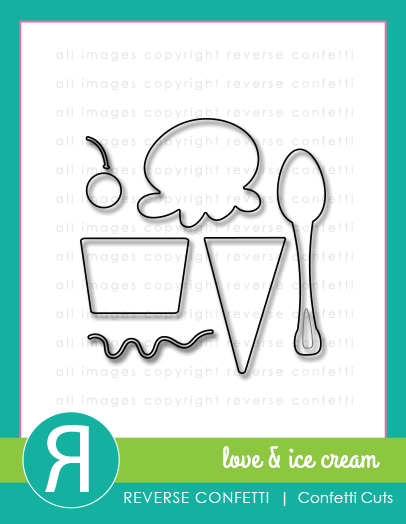 Love how drippy and juicy all of your ice cream treats look on your cards. Really enjoy your bright, cheery and layered style! 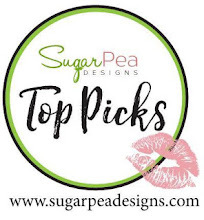 your card designs always blow me away... both cards are beyond fabulous!! 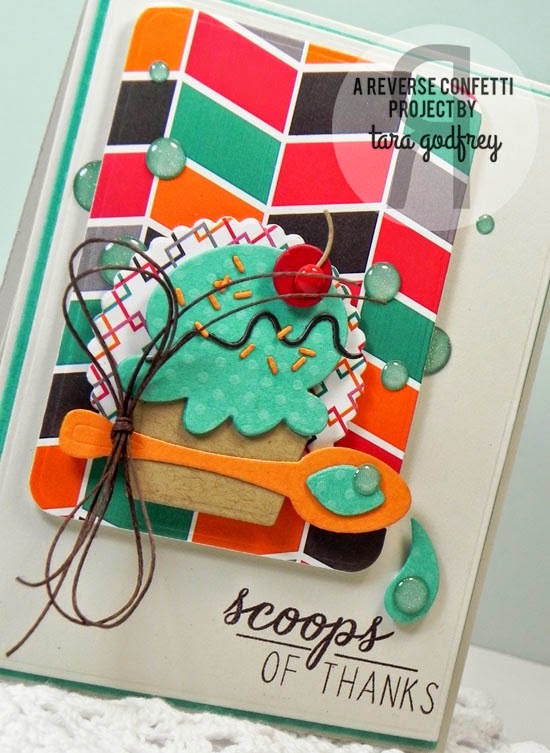 Wow Tara ... great layout, powerful colors, love the Gumdrops and sprinkles! Nice job. fun cards! love the colors and the background! fun textures and layers for this card! both cards are so beautiful, with amazing colors!!! 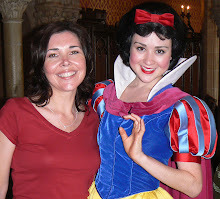 Awesome-I especially like your second card-brightly colored and lots of fun- TFS & TFI!